• 5+ years’ experience in providing training to diverse audience. • Highly skilled in organizing training workshops and for present and new employees. • Able to maintain training programs within the business to ensure that all employees training are current. • Hands on experience in monitoring training costs to ensure prudent budgeting. • In depth knowledge of assessing training needs and conducting surveys. • Demonstrated ability to use development and training tools. TehminaFrom Glenn (5/5): Tehmina has a very good teaching style. TehminaFrom Farzana (5/5): We have had a few maths lessons with Tehmina for two of my secondary school aged daughters. Tehmina is a really good tutor, who is determined to help pupils make progress. She has a good balance of being supportive and motivating students when needed. TehminaFrom Pooja (4/5): Good teaching methods, explains everything in a way that it becomes easy for a child to understand, punctual. 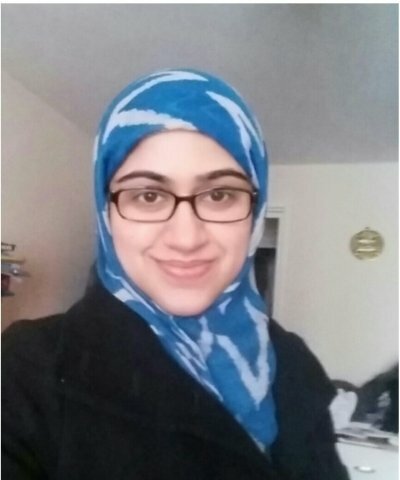 TehminaFrom David (5/5): Tehmina is a truly amazing tutor who has done wonders with my niece. She is punctual and has a strong grasp of all the required subject matter and is able to teach and articulate the concepts in an easy-to-understand way. My niece - the student - was underconfident and struggled to understand basic concepts, however with Tehmina she has significantly improved and has also shown better results in other topics due to increased confidence. Thanks again for wonderful work! TehminaFrom Didem (5/5): Tehmina has been a fantastic tutor. She is extremely helpful and very knowledgable. I'd highly recommend her. TehminaFrom Erica (5/5): Tehmina is a very good tutor. A nice and confident lady with excellent explanation skills,very efficient and I loved the way she encouraged my daughter how to manage her studying time. TehminaFrom Tristan (5/5): Thank you for helping my son with his mock A2 Economics revision. It was very helpful. Tehmina proved to be a reliable and very dedicated tutor. Passionate about teaching. TehminaFrom Sanna (5/5): I've had my first class and tehmina is a really good teacher. I am confident I'll pass my gcse maths!! She is a really helpful and intelligent lady! TehminaFrom Basheer (5/5): Very helpful. TehminaFrom Mohammed (5/5): A professional work and met all the points that i have asked her to do. everything was on point and very clear to understand as well scheduling was on time. i am very happy with what Tehmina had to advice me with her professional point of views. Reply from: Tehmina: Thanks Mohammad. TehminaFrom Mortada (5/5): is the best tutor I’ve ever had. I highly recommend her. She is very knowledgeable about economics and have a passion on teaching. If you are looking for an outstanding teacher, just go ahead and select . I can guarantee that you will understand the subject and will get high grades. Definitely, I’ll choose again in future if I face any difficulties in economics and will recommend her for all of my friends. TehminaFrom Hiba (5/5): Excellent tutor, I have really benefited from the help and support I got from Tehmina . She knows her subjects really well and is very reliable . I would recommend her to any one looking for tutoring in the future. TehminaFrom Tanzima (5/5): She is a amazing tutor,she is always on online to help. Her teaching style is unique. Lovely tutor, would definitly reconmend to everybody. TehminaFrom Peter (5/5): Tehmina has helped my daughter with maths preparation for her 11+ exams. My daughter says that Tehmina really helped her by reinforcing what she knew and preparing her for a test environment. I would recommend Tehmina! Reply from: Tehmina: Thanks for your kind words. TehminaFrom Sarah (5/5): Thank you very much for your help and professionalism. I am more confident with Tehmina's assistance and will certainly recommend her to friends for online tutoring. Simply amazing. TehminaFrom Michael (5/5): First class! Thank you to Tehmina for all her kind assistance with our daughter's AS level economics. Tehmina is committed, knowledgeable, and thorough in her analysis, and our daughter has found her tutoring to be extremely helpful in her studies. The rating of excellent is well deserved! TehminaFrom Monica (5/5): I am really happy with Tehmina. she explains to the details and is always available… She is really committed to what she does and I am very satisfied with the work we have done together. TehminaFrom Ibrahim (5/5): Excellent tutor. Has improved my confidence and ability in Economics. TehminaFrom Sahrish (5/5): We are really pleased with your tution. It has given my niece more confidences n better understanding. TehminaFrom Dimitris (5/5): Reliable, firm but approachable,excellent time keeping.